Having gotten this far in life, you must realize now that nothing is an accident or a coincidence. Everything, no matter how unlikely it may appear to you, is somehow interconnected. Numerology in Seattle helps in bringing clarity when you feel it is impossible to make sense of the seemingly random events. What is happening all around us has a relationship with numbers. In this area, your best bet on finding out how that works is an expert on Numerology. There is much fascination about numerology because of its ability to link itself to various fields of knowledge as well as to our lives. In fact, even scientists have witnessed the occurrence of similarities between the age of the universe and the unit of time, as well as between gravity and the electric force of proton and electron. In a way that would matter more to a non-academic, Numerology Seattle can explain the reasons behind the circumstances surrounding your everyday life. Whether you want the services delivered to corporate world or just too a few close friends, there surely would be something that suits your demands. The thought of having your personality determined and your destiny known releases you from the clutches of uncertainties in life. There are only a few people that can give answers to your fairly complicated answers and you can surely find the much needed guidance in a Numerology show performed in Seattle. For example, knowing your life path (the reduced number derived from your date of birth) discloses external forces that you have or will face in this lifetime. Thus, what is offered is not a prediction but the revelation of what is already bound to happen. Truthfully, there is great power in the numbers. It is associated with different aspects of your life as well as of the universe, playing a substantial role on how everything turns out. Those who have the ability to see what lies behind the numbers, such as corporate entertainers that use Numerology as part of their show, are needed to view things from a very different perspective. 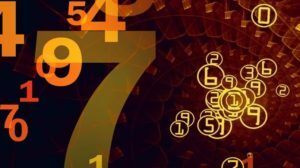 The fact that numerology has been accepted in different cultures for centuries proves its reliability, although it still is inexplicable in science. In a world as complicated as ours, opening yourself to various explanations of your being and of your life is not only acceptable, but is encouraged. The real fascination behind numerology is in its being right, even without the conventional rationale to support it. Wondering What a Corporate Entertainer in Seattle Has to Offer? Get Ready for a Mind-boggling Experience! In any company, employees enjoy various privileges and benefits. Work-life balance plays an important role in the overall satisfaction of an employee. This makes sure that they are not burnt out from work and that they do their tasks with utmost passion. This is in the belief that passion and expertise in their roles can bring out the best in any result that is needed from them. This is also the reason why companies hold events – some of which are outdoor corporate events, which can keep their employees relaxed and solid. Project managers look for the best corporate entertainer Seattle has to offer. However, they still look for out-of-the-box outdoor events ideas where employees can enjoy the weather. One of the best outdoor event ideas is to hold an amazing race type of event, where there are series of tasks, obstacle courses and relays to be done per team. Aside from hiring a corporate entertainer in Seattle that can really bring the house down, there are simple games and inexpensive approaches to keeping your employees happy and together. Mind games are some of the best games to play during outdoor events. It gives the athletic people leeway for extra physical events, but still gives opportunity for people who are more of the strategic and decision-maker types to actually enjoy the fun, solve puzzles and keep their minds at work. There are also those who can appreciate what a corporate entertainer in Seattle has to offer, who are able to engage people with their mind tricks and expertise in numbers. These kinds of corporate entertainers and players can definitely spice up your event, especially during times when everyone wants to experience a relaxing, mind-boggling show. During the day, when people can enjoy the weather, as well as, unexpected days when you have to endure rainy sessions and still continue your event, the shows a corporate entertainer in the Seattle area has to offer can really come in handy. Magicians, mind reading and ESP experts can just set up a table, do a stand-up and keep your crowd alive. Mind you, your crowd will even be more agitated as they get amazed on how these numerologists, mind readers and ESP experts do their thing. There will be intense curiosity, which can get their mind running. That would be very essential for their jobs as well; as they would be able to sharpen their minds through these corporate entertainers mind tricks. To be honest, having a professional numerology or mind reading Seattle Corporate entertainer can really draw laughter from your crowd. In an intense workplace, mind reading and numerology tricks can be the breather they need to relieve stress and have some fun time together. Why Hire a Corporate Entertainer Seattle for Your Corporate Event this Summer? With summer fast approaching, CEOs and event planning committees are trying to look for ways to make their corporate events fun and engaging. After all, events like these are the best times to show appreciation for both clients and employees. But with all the goings-on this summer, how can you ensure that your guests would stay on? How can you keep their interest from wandering off to Never land, silently wishing that they attended another event because yours is not as catching to their imagination? Let’s say you’re inviting a small group of investors to introduce a new, promising product. A small soirée may sound like a good idea, but what would be the takeaway? All of your guests might end up missing the actual point to the get together which is to highlight your product. How can you keep them engaged in your subtle product presentation while entertaining them? How about including a numerology reading to spice it up? Arrange this special presentation with a reputable corporate entertainer in Seattle and you and your guests will have a grand time comparing results. Or you might want to host a huge corporate event where your guests can dance, do some games, or watch the latest local band? A corporate entertainer in Seattle can easily set up a numerology reading area adjacent to the stage or dining area, they will give alternate entertainment options to your guests. Within minutes you’ll find your guests lining up in front of his table to get a reading. You might find them giggling or laughing as they try to guess what the results of their reading would be. 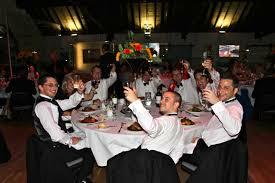 Such camaraderie would ensure a fun and lively corporate event, don’t you think? Set an appointment with a reputable corporate entertainer in Seattle. And when you do, do it ahead of time. It’s because entertainers with unique offerings are in demand. Sometimes, their calendars are full for months at a time. 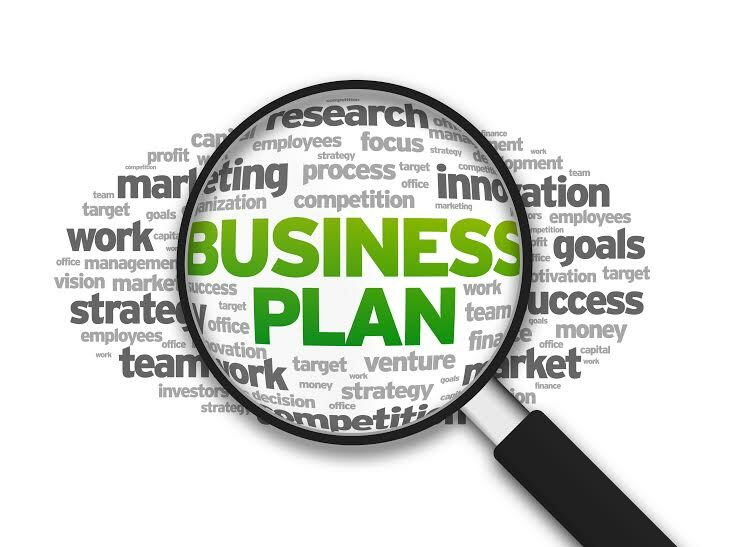 Be clear with your plans. Let the entertainer know what you have in mind. Tell him the number of people you’ve invited, your preferences, the size of the venue, the theme, etc. This way, he can plan accordingly. Don’t forget the ambience. You’ll be having a unique event, right? Make sure your theme will fit the occasion. Ask your corporate entertainer for suggestions and recommendations. With his experience, he can come up with a theme that your guests will remember for a long, long time. Having a successful event this summer is possible with a little help from a reputable and reliable corporate entertainer in Seattle. How to Avoid Derailing A Conference or Business Meeting. I realize that some receiving this newsletter are professional planners. But for those that are not, and yet find themselves involved in planning a large meeting, I hope these top 7 ideas are helpful. Date check: Sure you know to avoid choosing a holiday date. But also be aware of any major sporting event, or local flavor events such as parades or festivals. Any of those can cause logistics problems if travel is involved between venues. Site check: If it’s a large meeting you most definitely want to do a personal viewing. Yes, even if it’s far away. Why take the risk that everything won’t be fine on the day of the event or rely on someone else’s judgment? In addition, checking out the scene beforehand allows you the opportunity to meet and build a rapport with the staff you’ll be working very closely with on the day of the event. So budget that in! Enough time: Putting your meeting together takes time, and the more you have, the better the chances of making fewer mistakes. Handle details in the early planning stages. Leaving the basics to the last minute will undoubtedly cost more money, as you’ll probably incur rush charges, and it will definitely add unnecessary stress to your life! Checklists and the ability to delegate will be helpful. Let others do the running around on your behalf, but always have a visible presence in the background making sure that everything runs smoothly. Specific contracts: When dealing with vendors large or small you want to have the contracts spell it out exactly. Avoid phrases like “to be determined at a later date” or “to be negotiated”. These are nebulous terms that can be interpreted in their favor, not yours. Besides when it’s spelled out everyone can relax knowing exactly what is expected of them. Plan B: Even well organized events can have a glitch sneak in. – Nine months ago you came up with the idea to send the executives off for an afternoon of sailing. But you just found out the morning of the sail that the boat sunk a couple of hours ago while docked. Without a backup plan you panic (never a pretty site) and have the possibility of it causing a domino effect for other areas of your conference. Having a contingency plan puts your mind at ease. Ooh, the budget: Yes, you’ll be watching the budget. But not to the exclusion of quality. Cheap prices and good quality usually don’t correlate. So the next time you’re tempted to make a buying decision based entirely on price, think again. Timely marketing: It’s all about marketing and communication. The longer you wait to inform potential attendees, the stronger the chance that they’ll have made alternative plans for your meeting dates. Communicate your message in plenty of time so that your event is their number one priority. Have you tried using a corporate entertainer for your business functions? 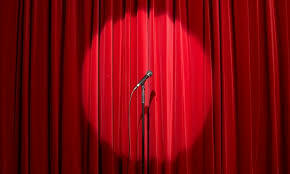 Are you stuck in the usual stand-up comedians in your corporate events? When you are providing entertainment with the aim to please and create an enjoyable experience for your audience, you want the activity to come alive with exciting entertainers. After all, your goal is to establish an impressive corporate image for your clients and friends. Having an entertainer at your corporate events can boost clientele and company relationships. It also breaks the barriers between employee and employer. A successful show is measured by your participants’ after activity impressions and resounding applause during the show. The entertainer breaks the ice during the lull moments, when the participants are getting bored and sleepy. Your corporate entertainer must be quick to engage the attention of his audience, is lively and his act must be engaging and always interesting. One such entertainment is mind-reading or ESP. Extra Sensory Perception (ESP) is quite a mind-boggling sensation. Imagine another person reading your mind! In an entertainment show such as this, the participants have no idea what to expect. Not knowing what will happen is part of the excitement. Getting surprised at what will be revealed keeps the audience at their toes. Some of the participants may be skeptical at first but when they get the chance to be on the stage with the entertainer, their skepticism will turn into one of wonder and amazement. 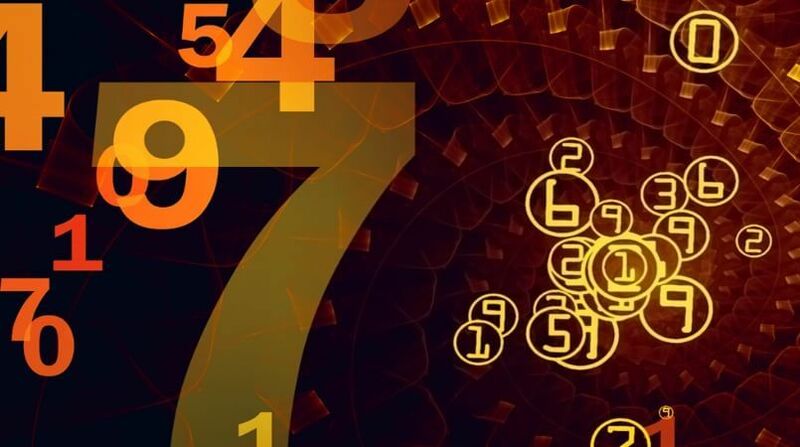 Numerology is a very interesting subject in any type of gathering. With just your birth date your life is revealed to you in amazing accuracy. You will wonder how the corporate entertainer sums up your life’s potentials with such clever play of numbers. Using number charts designed with your company’s identity, the skillful entertainer does the Math and viola! You can’t help but believe the logic of numerology; you will get hooked until the end of the show. A successful entertainment show puts a smile on every person’s face. A good business presentation complemented with good entertainment can easily convert into sales. People will remember your event for a long time because it is easier to recall the instances that brought us joy and happiness. 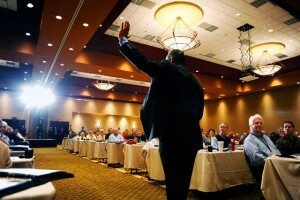 In every business opportunity forum, a corporate entertainer breathes life to the activity. Don’t miss out, book your entertainment now! The world is made of numbers, whether in plain sight or not. All around us mathematics define our reality. Now, wouldn’t it make sense that these numbers affect us in our everyday life, in subtle yet interesting ways? People who have enjoyed numerology reading Seattle services have discover this. 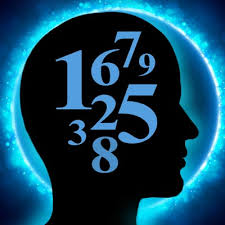 This is what numerology is about, an ancient way of looking at the world by studying numbers and discovering what they mean in our everyday life. This could be from personality traits to predictions of our futures, all exciting and interesting, especially when pointed out by a complete stranger. Many Corporate entertainers are now including this as a form of entertainment for a variety of venues. Having a Seattle Corporate Entertainment expert at your corporate event, at your wedding or a luncheon can be an excellent way to mix people, allowing them to break the ice with other people who may or may not have had a chance to converse with the live corporate entertainment specialist. People who have never met will look at each other’s cards and find they have commonalities they never imagined. Those who already know each other will be able to delve deeper into the minds of friends and acquaintances…if they let you! Corporate Entertainers in Seattle do not need much in the way of equipment or even space, and can be as un-intrusive as necessary, never breaking up the flow of your event. People who hardly know each other will take away their numerology cards after a 3-6 minute session with the live corporate entertainment specialist and mingle, laugh and point out similarities between themselves. Some will be astonished at how much can be read from numbers, simple things like birth dates and anniversaries. 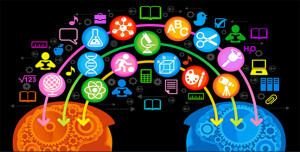 Numbers and mathematics rule the world, but we need not be ignorant of their powers over us. What better way to amaze and amuse guests at your corporate or personal event than with a Seattle Corporate Entertainment specialist? Without a doubt, it will raise the conversation level, as amazing things are revealed. So what could possibly be more original and interesting then mixing in a Numerology Reading Seattle session at your next event? It will certainly make your event planning stand out and will entertain your guests for very little cost. As October begins we are already officially into autumn, the nights get darker sooner, and the clocks will soon fall back an hour. There may also be irregularities caused by some things in your lifestyle. All these things can throw off your sleep. Check some of the following to see if these could be causing you to feel fatigued or have trouble sleeping. I will be avoiding the obvious such as caffeine and smoking. Don’t throw off your body clock by taking too long of a nap during the day. Make it a power nap of less than 30 minutes. Expose yourself to bright light/sunlight soon after awakening. This will help to regulate your body’s natural biological clock. Likewise, try to keep your bedroom dark while you are sleeping so that the light will not interfere with your rest. Exercise in the morning or afternoon instead of evening. Exercise stimulates the body and can make it difficult to sleep. Avoid alcohol as it may help you feel sleepy at the start but can interrupt normal sleep patterns. Your sleep environment should be comfortable. Here are things you can do create a restful place. Keep the bedroom for bedroom activities only. Don’t sit in bed and pay bills, do work, etc. Help the mind realize that the primary purpose is to get rest when there. Keep the temperature consistent. Adjust the amount of bedding to compensate for temperature changes instead of the thermometer. Speaking of the bedding. Don’t have the sheets tucked too tight. If they are, you won’t be able to roll over as easily and are more likely to waken as you try. White noise machines can provide a constant soothing sound that can eliminate you from subconsciously focusing on outside noise that disrupts your sleep cycles should you happen to live in an urban environment. It is also good to have some little ritual that you always do before going to bed. It may be a cup of herbal tea, an ocean sound CD, or simply reading before going to bed. Doing a ritual prepares you psychologically for sleep. Let’s face it, sometimes sleep just wont come! The worst thing is to lay there for an extended period of time letting anxiety build up as you try to will yourself asleep. It’s time to pop out of bed and nibble (not feast) on a piece of turkey. Ever wonder why you want to take a nap on Thanksgiving? Turkey contains tryptophan, a major building block for making serotonin, a neurotransmitter, which sends messages between nerve cells and causes feelings of sleepiness. Saltine crackers can work too. Either of those with a little reading should get you drowsy. Look for one of the top ten live entertainment venues to hold a corporate or family event can be quite challenging. You’ll never now which places will click with your guests or what activities to include to make it a fun and pleasurable occasion. To help you out, we have listed down some venues and out-of-the box activities that can make your event truly fun, exciting and memorable. Sports arena or stadium. Sports events can be very emotional as fans cheer for their favorite teams. And, as most of us know, these events can bring out the best or the worst in them. Divert the rising tide of emotions with a live ESP Show intermission number! Music festivals. Who doesn’t love music festivals especially if they’re held in open fields? But of course, an all-music affair can prove to be boring after several hours. Perk up the event with a mind reading show! Opera house. A numerology show in an opera house? Well, why not? It can provide the actors with some welcome respite while they’re changing costumes. Audiences, on the other hand, will be delighted with this out-of-the-box intermission number. Local Pubs. Going to hold a corporate event in Seattle? Why not do it in a local pub somewhere in town, complete with great drinks and a live ESP show? The guests will definitely enjoy it – especially if it’s the boss’ turn to have his mind read. Local community center. Are you going to hold an awarding ceremony for distinguished members of your community? How about adding a Live ESP event where the host will try to read the mind of the awardees? That would certainly bring the house down and make the event a truly memorable one. Kids of today maybe more forward-thinking than kids of past generations but they will still be awed with a numerology show anytime – whether it’s their Christmas Party or their Junior-Senior Prom. Local city festival. Local city festivals are fun by themselves, but add a mind-reading ESP activity and you’ll turn it to a festival to remember! Golf course. Holding a class reunion in a golf course private dining room? Liven it up by having an ESP Show in Seattle where the host will read the minds of erstwhile sweethearts… or that of your former school teacher! Hotel room. Surprise your loved one with a birthday celebration in one of the hotels in Seattle. Invite a few guests, an ESP in Seattle, and your beloved will appreciate you for it. Sales running low? Offer something new – like hiring a Seattle Corporate Entertainment company to hold regular weekly or monthly mind reading shows to bring satisfaction to your customers – and your cash register as well. 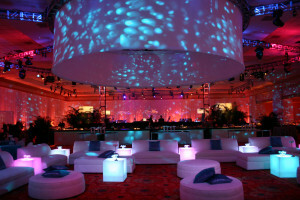 With the right Seattle Corporate Entertainment company, any venue will come to life. Contact one in your area today!